If you create lots of VM´s with large amount of RAM memory assigned to them and start to wonder why you have used some of the storage on the volumes then this is because if you have set up a VM without changing anything you get a bin file in the VM folder that corresponds to the size of the allocated RAM. This file is used to save the VM`s RAM to disk when the VM is going into saved state! 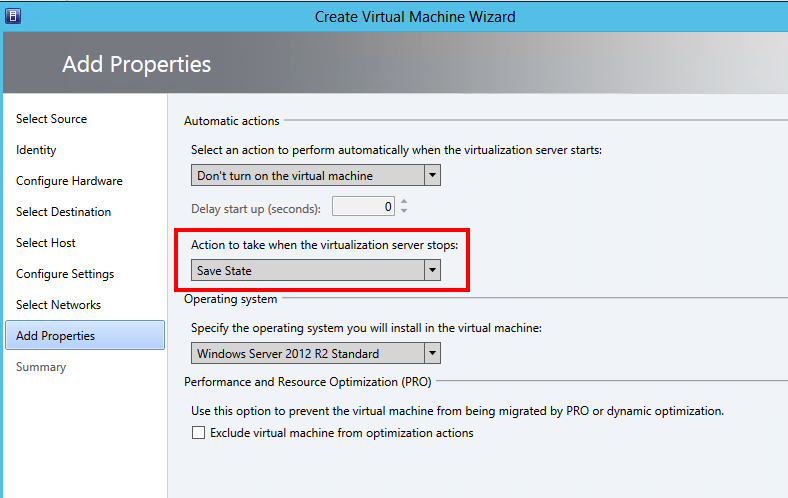 In an environment where you have all VM´s as clustered resources you will not need to be able to use the saved state when shutdown the host as you will live migrate the VM´s when doing stuff with the HW.